Recently I've been having a lot of conversations with individuals about the value (or not) of LinkedIn. It's really quite surprising how much people don't know about LinkedIn. Most people assume that LinkedIn is simply a place where you can post your work experience (CV) connect with a few people and that's it. 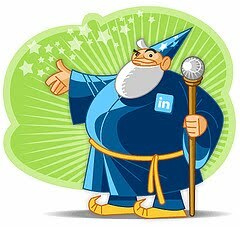 Jack Vinson has also written an article on his blog Knowledge Jolt with Jack called "Things I've learned about LinkedIn recently" this has some really good tips on how to make the most of LinkedIn and some useful tips on updating your profile. This entry was posted on Friday, 4 March 2011 at 10:30 and is filed under LinkedIn, Networking, Social Networking. You can follow any responses to this entry through the RSS 2.0. You can leave a response. Lawyers can learn a lot about how best to use LinkedIn from Chrissie Lightfoot, whose excellent book The Naked Lawyer http://entrepreneurlawyer.co.uk/products-services/ebook/ has a section devoted to it.